Walt Oswald, age 81, of Aurora, passed away on Thursday, December 28, 2017, at his home. Funeral Services will be held 10:30 A.M., Tuesday, January 2nd at the Aurora United Methodist Church. Rev. Sarah Ruch will officiate. Interment will be in the Aurora Cemetery. Visitation will be from 5 – 7 P.M. Monday at United Methodist Church, 1104 A Street, Aurora. Memorials may be made to the family to designate at a later date. Higby-McQuiston Mortuary is in charge of arrangements. Condolences may be e-mailed to the family through the mortuary website at www.higbymortuary.com. 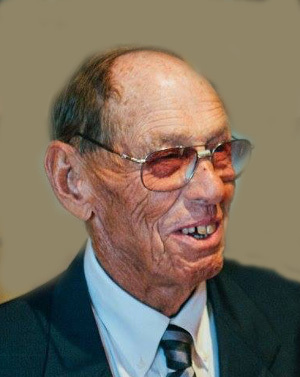 Walter M. Oswald, the son of Harold F. and Esther Mary (Smith) Oswald, was born at Aurora, Nebraska, on March 13, 1936, and passed away at Aurora, Nebraska, on December 28, 2017, at the age of 81. He grew up on the family farm near Aurora and graduated from Aurora High School in 1953. Walt started work on the farm at an early age and continued on after graduation. On February 14, 1959, he was united in marriage to Patricia Dolloff. They lived in his childhood home, where they raised their family. Walt was a farmer. He raised seed corn for many years and was a breeder of purebred hogs. Walt was very involved in the farming operation and only recently delegated duties due to his declining health. Walt enjoyed following his grandchildren’s activities and going antiquing. He was preceded in death by his parents; daughter, Jeanette and two brothers, Richard and Joe Oswald. Those who remain to cherish his memory are his wife, Pat of Aurora; two sons, Jay (Tina) Oswald of Aurora and Jerald Oswald of Lincoln; 6 grandchildren, Jake (Heidi) of Columbus, Caleb, twins, Jeremy & Courtney all of Aurora, Jessica of California and Aaron of Grand Island. He is also survived by his sister, Mary Bierbower of Aurora and many nieces and nephews and other relatives and friends.